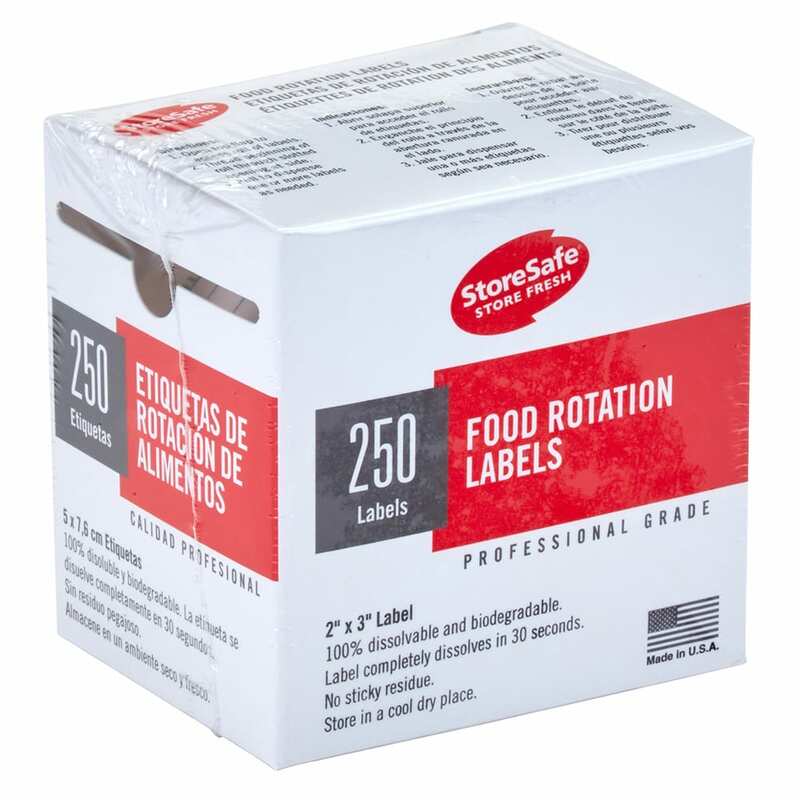 Use Cambro StoreSafe labels to record the contents of food containers and the date they are stored to ensure they're safe to use. These 2-in. x 3-in. 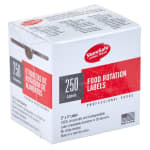 food labels are microwave safe and will withstand temperatures up to 200 degrees F for up to 4 hours. And, when you are ready to remove them, these 100% biodegradable labels will dissolve in 30 seconds under running water or in the dishwasher. Withstands heat temp. to 200 degrees F for 4 hrs.